Leadership Skill and Style Development (LSSD) is a three-day skill building and interactive workshop designed for front-line leaders, mid-level leaders (supervisors, team leaders, managers, etc), and area and functional managers. LSSD trains leaders in a system and progression of skills, practices and tools aimed at increasing employee engagement, development, proficiency and ownership. 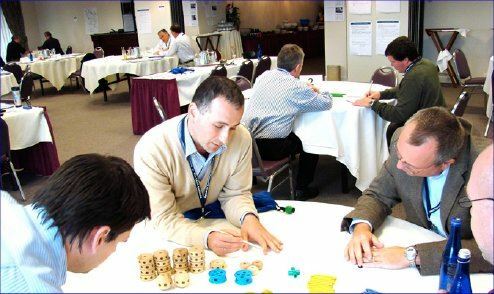 This program is a great match for leaders who work in lean or continuous improvement cultures. Work Unit Performance Climate - improving the critical factors that impact employee performance and morale. Personal Style and Interpersonal Skills - communication, effectiveness, assertiveness building rapport, listening skills and effective nonverbal communication. Leading and Managing Others - specific concepts, tools and techniques aimed at gauging the needs of associates and delivering the most effective form of leadership: Direction, Coaching, Conseling/Participating & Delegating - Situational Leadership. In each area of focus, participants apply the training to their specific leadership challenges. The workbook helps capture these commitments and actions, and participants get together with peers to share and consult with each other over their learning and action logs. To learn more about LSSD, see the LinkedIn post written by Kelly Petrock, President of the LEAD Institute and LSSD instructor. In the post, you can click through the link at the bottom of the page for additional background on LSSD. Future workshops will be posted here when available.